One of the sweetest couples I know recently purchased their first home. So naturally, I wanted to make a handmade housewarming gift. 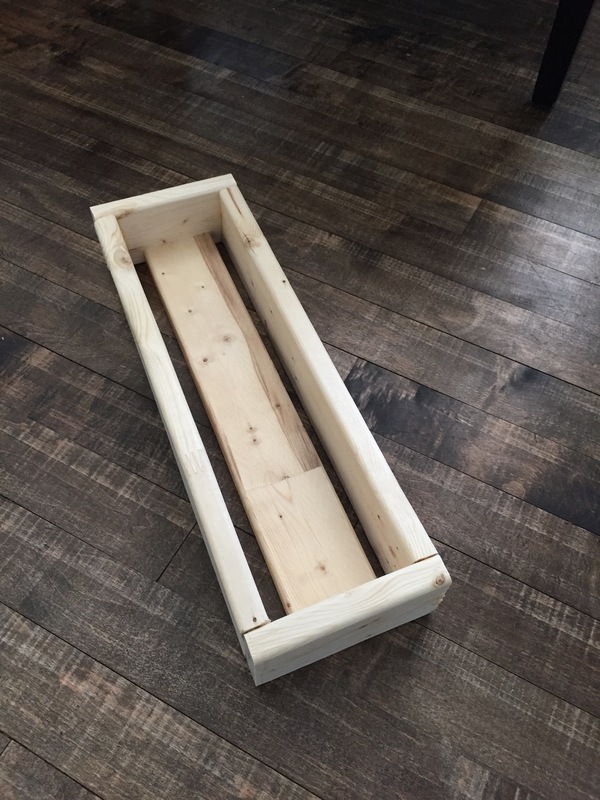 My brother and super-awesome sister in law both like to cook; so I wanted to make something special that would look pretty, but could also be functional. 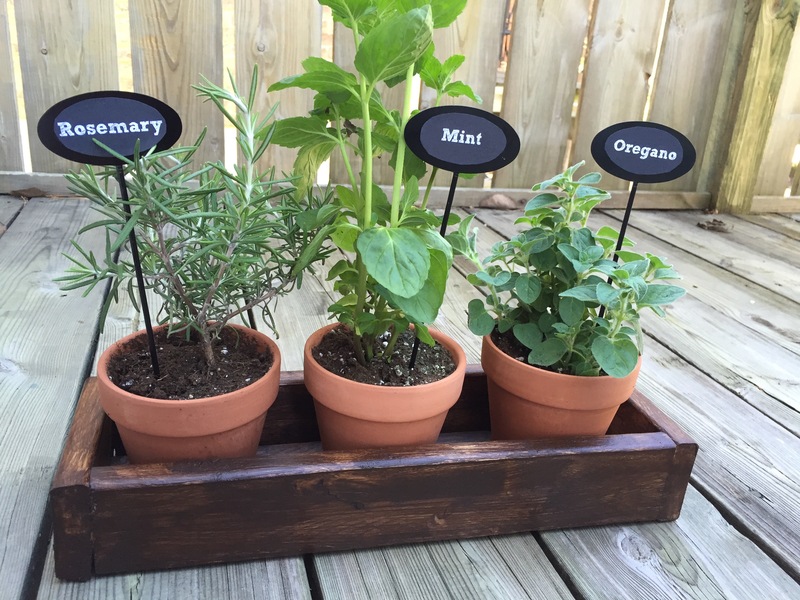 I came up with the idea while browsing through a dollar store, and I saw these cute little metal herb signs, that came with stickers for the herbs that look like they were written in chalk. I went to Home Depot and picked up a 1×3 board, which costs $1.77. I then cut 3 pieces to about 16 inches long, and 2 more pieces to about 5 inches. 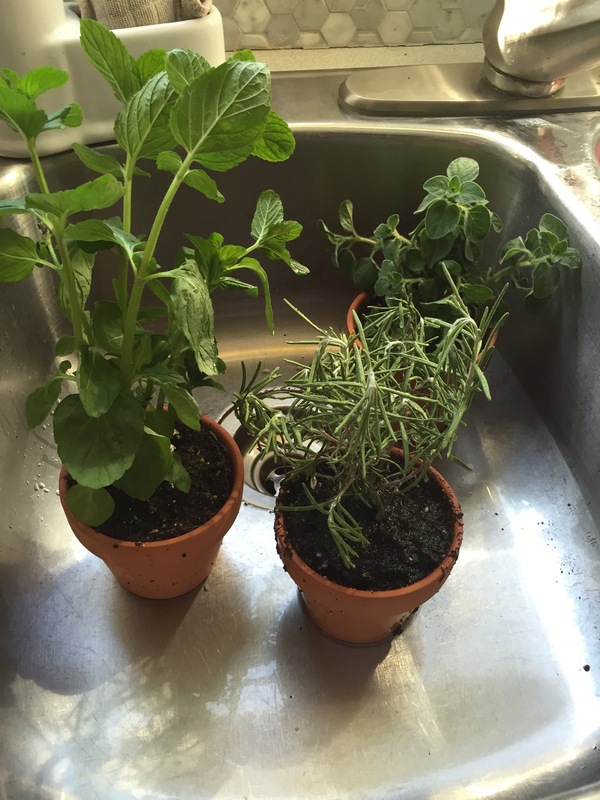 I also grabbed three terracotta pots from the dollar store. I wanted the wooden base to be simple and rustic looking. 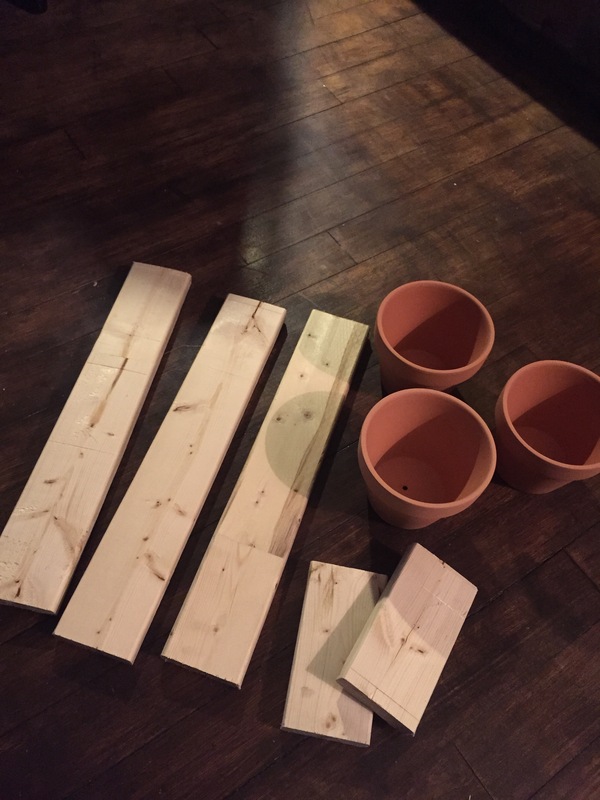 I assembled my five pieces of wood, and just glued them together using wood glue. It took me all of about 1 minute to complete. I then let that dry overnight. 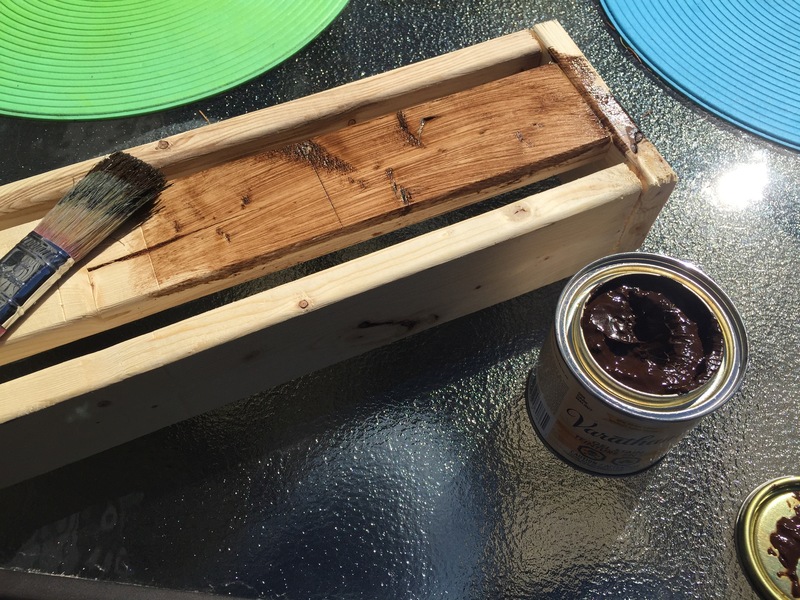 The next day, I stained the base a dark oak colour, using Varathane gel stain. I prefer the gel, since it’s way easier to control drips, and I personally don’t wipe it off. I like to let it set into the wood. I did two coats of the stain. 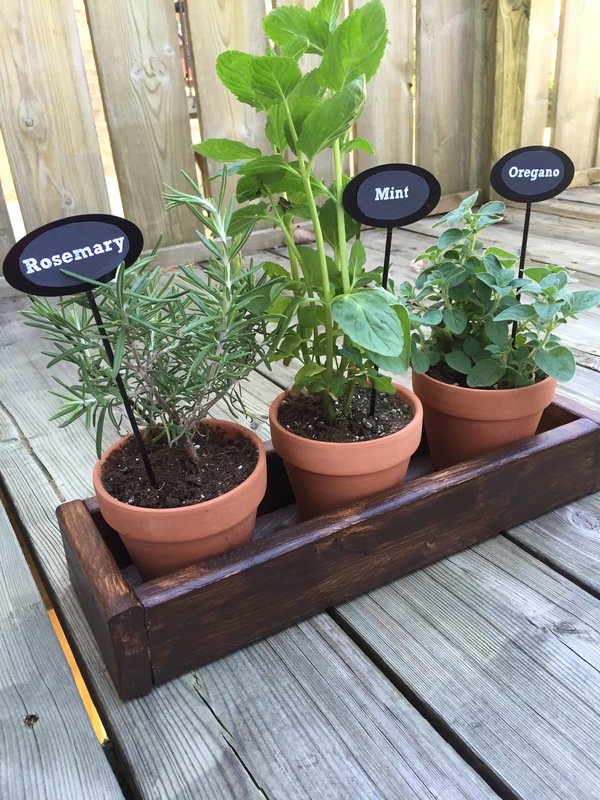 For the final step, I added the cute little metal herb labels. 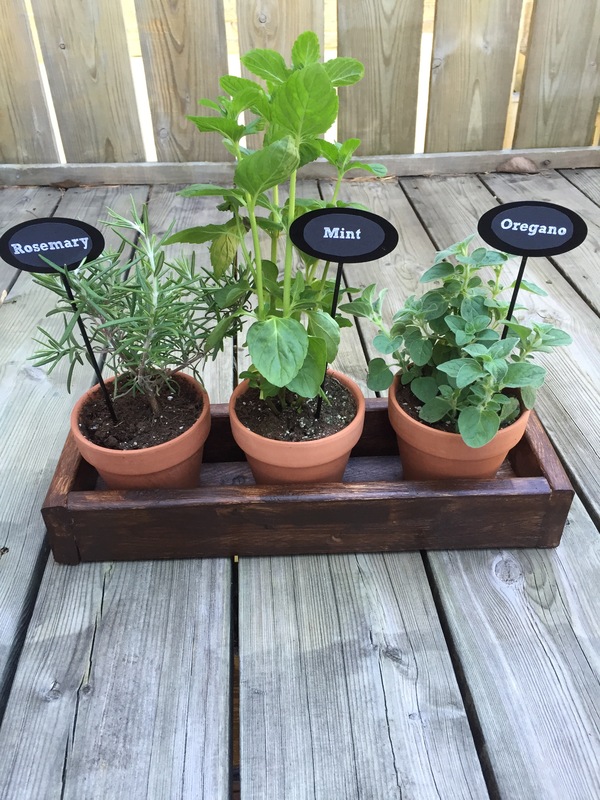 I placed the herbs in the rustic wooden base, and voila, cute little housewarming gift. How cute would this look in front of a window in a kitchen? I may even make one for my own kitchen. 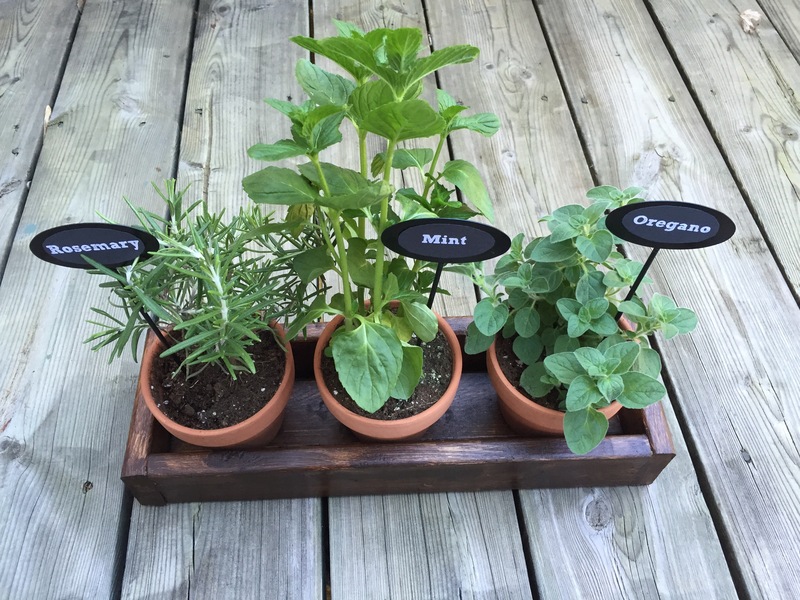 I think my brother and SIL liked it as well, and I hope they are able to enjoy these herbs with many meals, for a long time in their new home. That’s it for today’s post. I hope you enjoyed it. I’ll be back again on Wednesday with the new post. See you then.